Last summer, we asked that same question to 24 land trust executive directors at a retreat in Montana hosted by the Land Trust Alliance’s Western team. Participants left the retreat with a definition of community conservation and an opportunity to implement a project in their own service area. One participant, Kristina Ortez de Jones, executive director of the accredited Taos Land Trust in New Mexico, immediately thought of a project — their 20-acre riverfront Rio Fernando property, which they acquired with the hope of creating a functional model for community conservation. 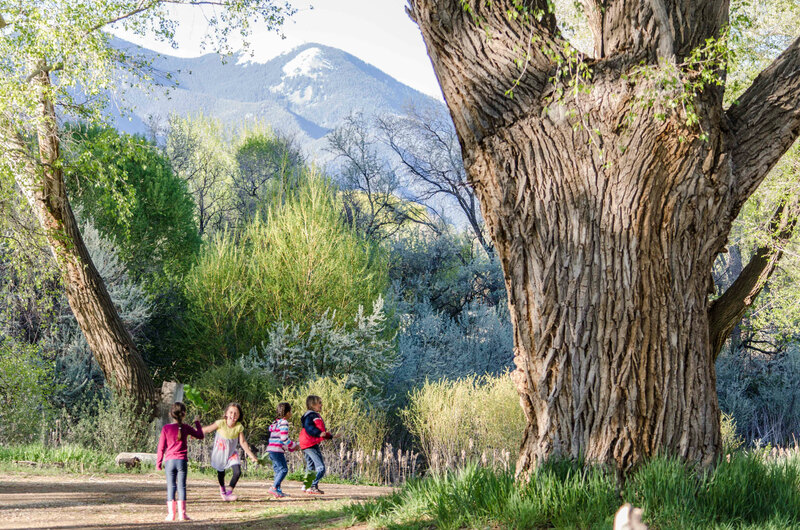 Supported with a grant from the Alliance, the land trust set out to engage the diverse communities of Taos in defining their community conservation goals and creating a plan for their new ambassador property. The community outreach process included focus groups and interviews with various community members, including the Hispano community, members of Taos Pueblo, artists, youth, farmers, conservationists, parents and the health community. The result: a strategic visioning document for the Rio Fernando Park, which will serve as a blueprint for activating the property for community use, and ultimately provide a platform from which to begin the master planning process for the park.